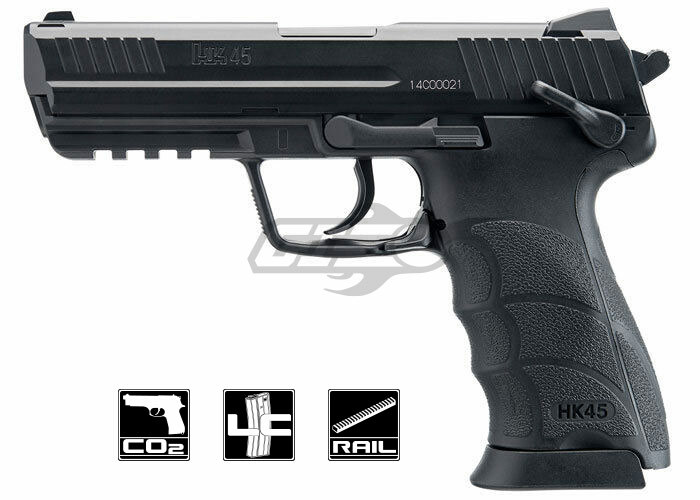 This HK45 CO2 BB air pistol shoots BBs at 400 FPS and includes a 20 round magazine for semi-auto operation. This is the authentic licensed replica of the popular HK45 firearm. 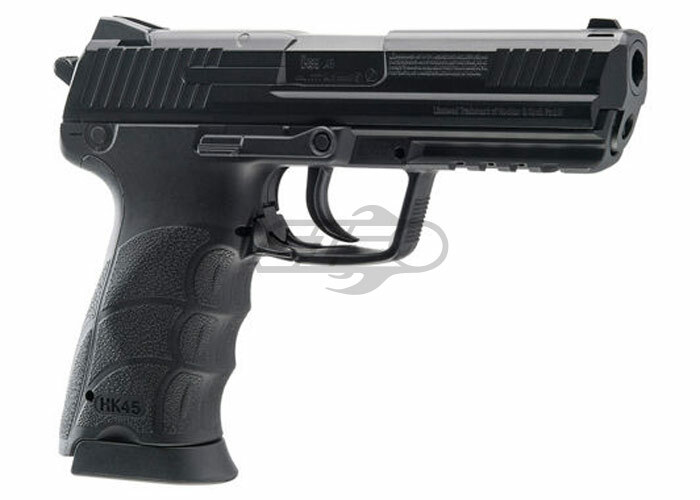 The HK45 features a metal slide, fixed front and rear iron sights, and is double action only. The HK45 would make an excellent gun for target practice.